The world is full of people with opinions. You have them, I have them. No where is this more true than when it comes to dieting, health, fitness and fat loss. the list literally goes on and on…. But the crux of the matter is this: Every single one of us Genetically Predisposed. Basically, we are all different. But where I say different I don’t mean out actual bodies. 99.9% of us work the same way when it comes to biology. We burn calories, we consume calories. Get the balance wrong and we either lose fat, or store fat. Simples. Where we ARE different though is in our heads and lives. We think differently, act differently, enjoy different things, have different work and social patterns, different family pressures, different income levels, again the list goes on. Your priority, if you are overweight, is to lose that weight. Period. Full stop. The simple act of losing that weight will by default make you healthier (and happier and fitter and stronger), and however you lose that weight, well that is up to you. There is no one size fits all, right or wrong way, there is ONLY the way that works for you. That’s it. That is the only thing you should be concerned with. That’s it dude! 2 things. Now if that means you eat 2 meals a day, 1 snack, don’t start eating until 3 in the afternoon, have your main meal at 11pm at night and only consume supermarket ready meals with 3 spoons of sugar for dessert washed down with full fat coke and 2 beers SO BE IT as long as it puts you in a calorie deficit and you can stick to it. Don’t listen to anyone else who tells you 2 meals is not enough, and sugar makes you fat, and full fat coke is bad, and beer should be avoided, and eating late at night will make your belly bigger, IGNORE THEM. Ignore the people, with best intentions or not, telling you that you are doing it wrong, or you shouldn’t be doing something. They are not you. They do not walk in your shoes. They do not live your life. They do not understand your struggles, or your habits, or your emotions. YOU DO, WHAT WORKS FOR YOU. 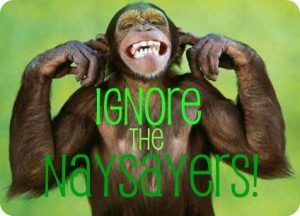 If it creates a calorie deficit (I do that for you) and you can stick to it, then ignore the naysayers, do YOUR thing. Stick with it. The people always chasing the ‘perfect’ diet never ever make headway and go round and round in circles forever (you know this, you’ve done it yourself). Find what works, forget the ‘health’ of it, just make it consistent, and block out the advice going on around you. Consistency at ANY DIET will deliver the results you want, but forever chasing something else, something more ‘perfect’ most definitely WILL NOT.